Got a Kindle, and a kid? 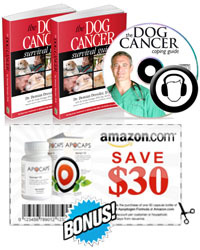 Download this brand new three legged dog e-book for dog lovers of all ages! It’s summer and pre-schooler Henry misses his friends who are away on vacation. 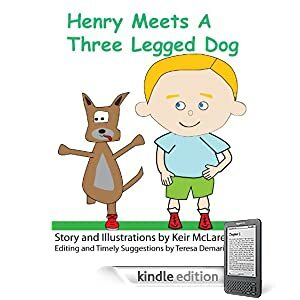 As luck would have it, a stray three-legged dog wanders into Henry’s life. Henry decides to hide his new friend from Mom and the adventure ensues. It’s funny. It rhymes. And it’s great entertainment for your inner child, or any children questioning the quality of life for three legged dogs. Twenty-four pages in glorious color, with story and illustrations by Keir McLaren. Check out all these other books for teaching kids about Tripawds. Or, visit the Amazon Kindle Store for savings and special offers. With Father’s Day coming up, why not consider a Kindle for Dad? Now available with free 3G and WiFi.